Fabulous use of the sketch – I love the teepee highlighted by the patterned circle! Awww…this is adorable! And congratulations on being a great-aunt again — how exciting. I loved working with your sketch this week! Great sketch and this card is as sweet as can be! 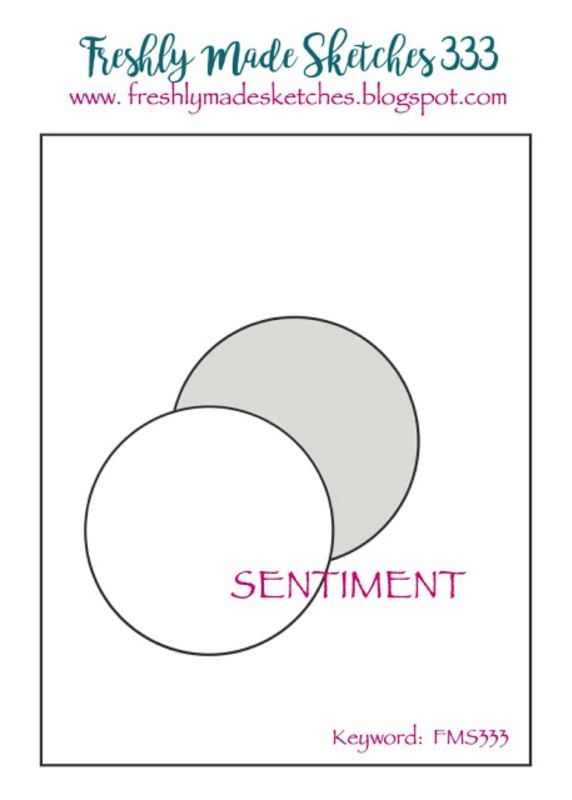 Adorable baby card! Congrats to you on being a great aunt again! And, of course, congrats to your niece too!!! 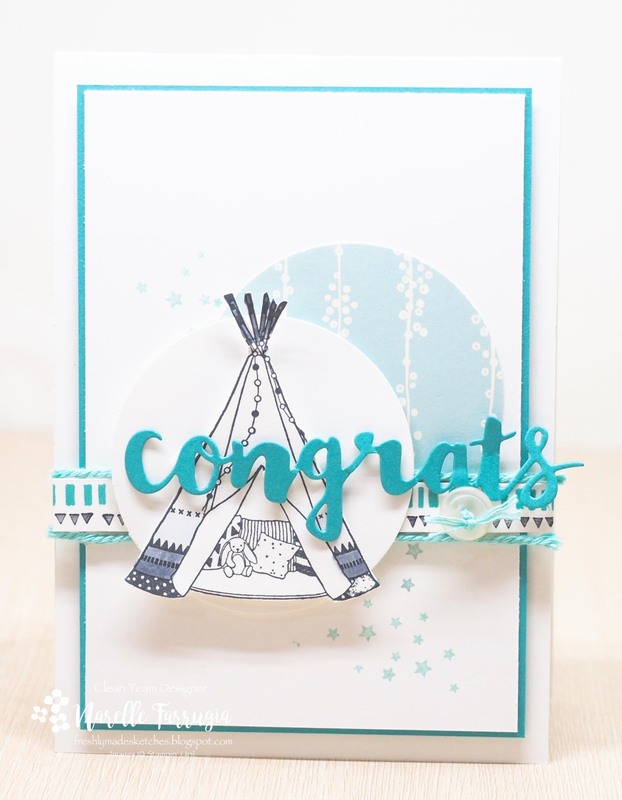 Your baby card is super cute and I love that teepee! NRelle your teepee is really fun and congrats on becoming an auntie! Congrats on being a Great Aunt again! Such a wonderful achievement 🙂 And what a delightful card you’ve made – that little teepee is too cute! This is just so sweet!! I love how you used this adorable image!